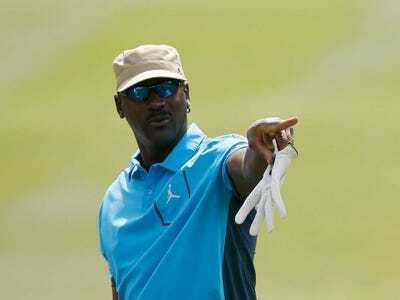 Isaac Brekken / Stringer / Getty ImagesRetired basketball legend Michael Jordan has been making the most of his post-court life. One of the biggest financial advantages out there is something anyone can access by opening a simple retirement account: compound interest. Retirement accounts such as 401(k)s and Roth IRAs aren’t just savings accounts — they’re actively invested, and therefore have the potential to make the most of this benefit. 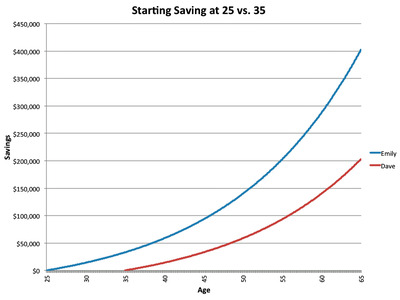 The charts below will show you the incredible impact compound interest has on your savings and why starting to save in your 20s is one of the best things you can do. 1. 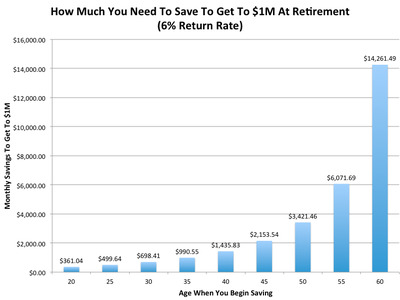 Compound interest is incredibly powerful. 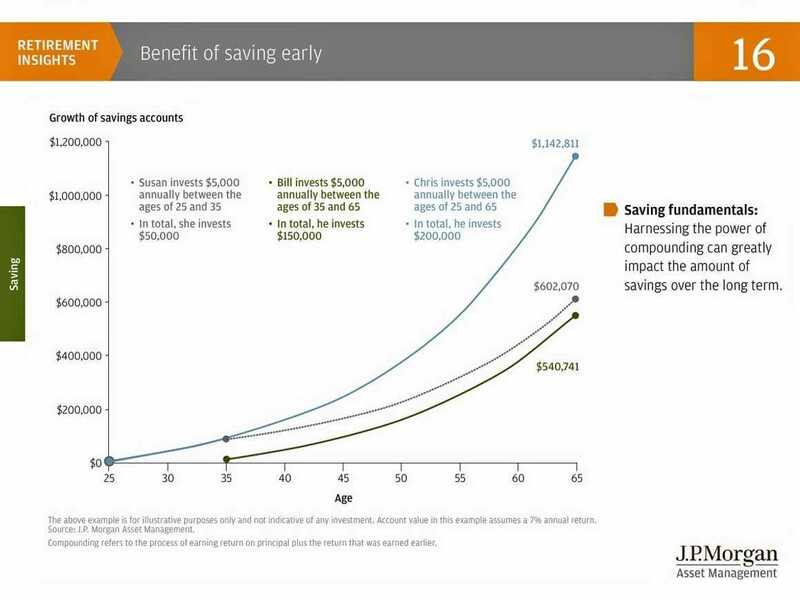 The chart below from JP Morgan shows how one saver (Susan) who invests for only 10 years early in her career, ends up with more wealth than another saver (Bill), who saves for 30 years later in life. By starting early, Susan was able to better take advantage of compound interest. Chris, the third saver profiled, is the ideal: He contributed steadily for his entire career. 2. When you start saving outweighs how much you save. 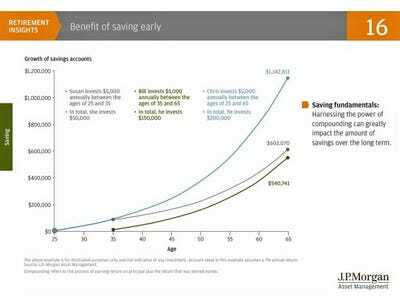 This chart by Business Insider’s Andy Kiersz also emphasises the impact of compound interest, and the importance of starting early. 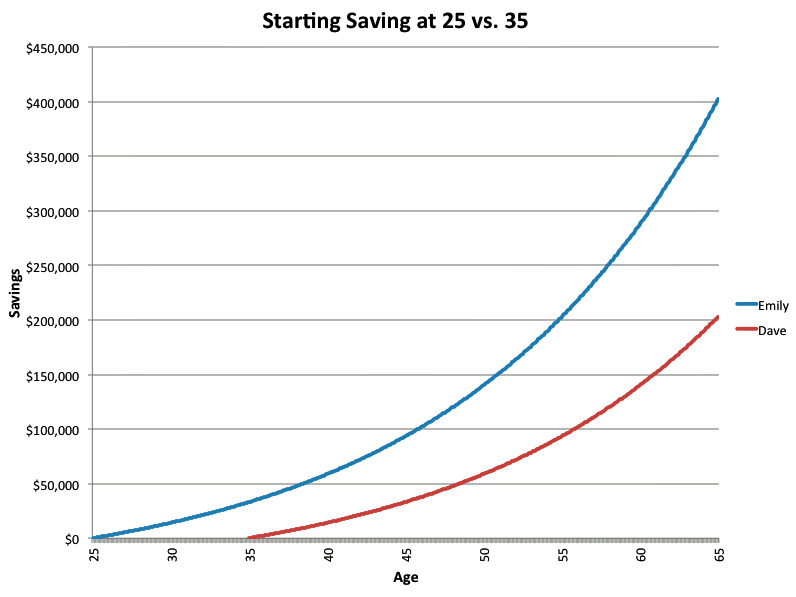 Saver Emily, represented by the blue line, starts saving the exact same amount as Dave (the red line), but begins 10 years earlier. Ultimately, she contributes around 33% more than Dave over the course of her career, but ends up with almost twice as much wealth as he does. 3. It can even make you a millionaire. Compound interest can get you pretty far. 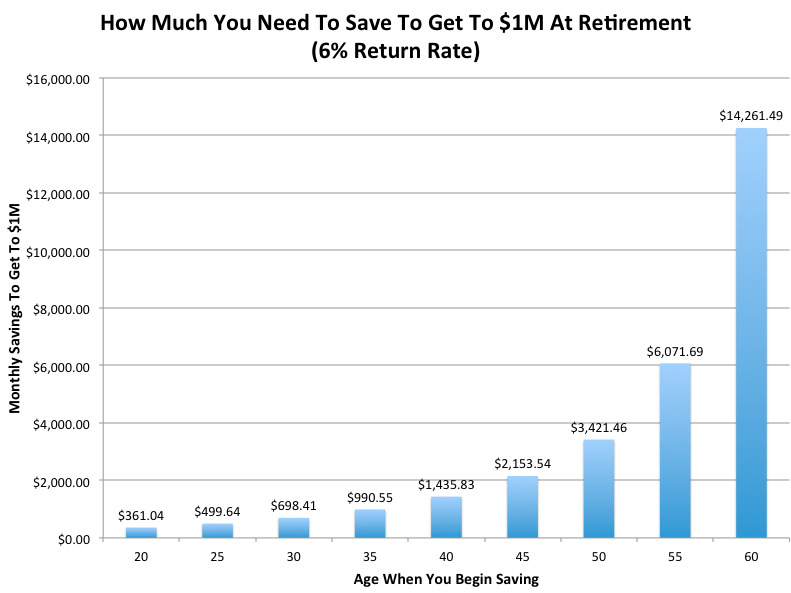 In fact, Business Insider calculated — based on your current age and a 6% return rate — how much you need to be saving per month in order to reach $US1 million by age 65. You can also see the calculations based on different rates of return.